Explore the mysterious rewards when you play Fortune Teller with Bitcoin online. 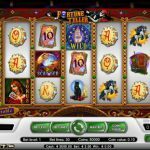 Find out why you should start placing Bitcoin bets on this NetEnt slot now. There is no denying that the future is an absolute mystery. However, the Fortune Teller slot blatantly disapproves this notion. 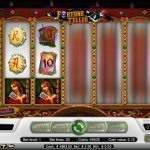 This Bitcoin slot game from NetEnt openly presents what the future holds for its players—lucrative opportunities to bring home Bitcoin! 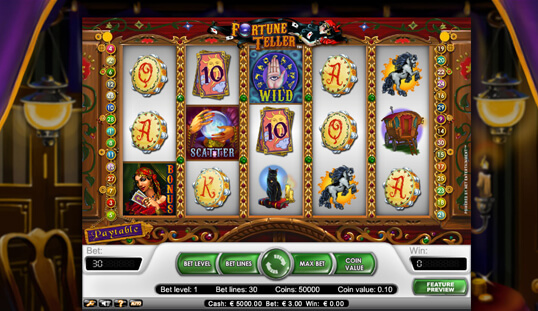 There are already several fortune teller-inspired slots online, but the Romani gypsy-themed slot game remains unmatched when it comes to visual aesthetics and sounds. 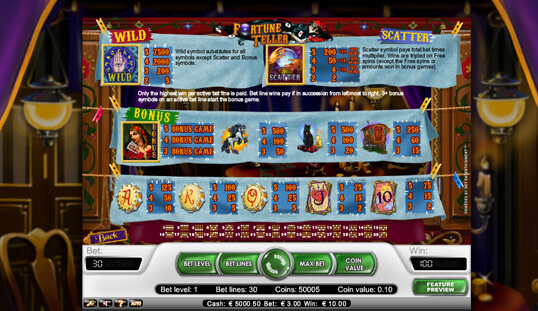 Its graphics are clear and rich in colors, which aid in presenting the entire betting interface to stay true to the theme. Professionally designed graphics are only one reason to like this game, attractive sounds are another. 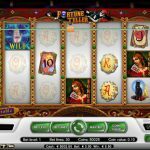 Completing the gypsy package of the Fortune Teller Bitcoin slot are the eerie but engaging music that fills every bettor’s ears while playing. Enigmatic and appropriate sound effects also play for every action like spinning the reels, catching winning combinations, and using the special symbols. 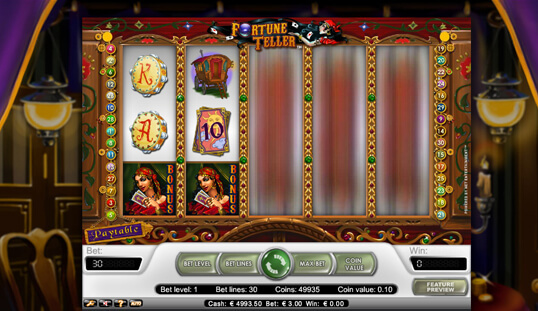 The Fortune Teller slot is not only readily available online, but it is also user-friendly. Up to 20 pay lines can be activated, enabling more winning combinations to land on an active line. Other than this, there are eight regular symbols, which pay quite reasonably well. With simple and easy-to-follow steps, it is a guarantee that you will have an exciting time when you play Fortune Teller with Bitcoin. One interesting thing about this Bitcoin slot game is that there are three special symbols that you should really have an eye on. Wild, Bonus, and Scatter symbols are all present, and they more or less function typically the same with the other slots’ special symbols. 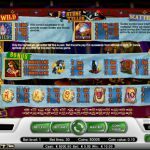 When it comes to the Scatter symbol, however, players can expect to have more winnings since it triple wins on Free spins and maximizes possible wins on regular mode. Moreover, the Bonus symbol unlocks the bonus game, giving players more ways to increase their bankroll. 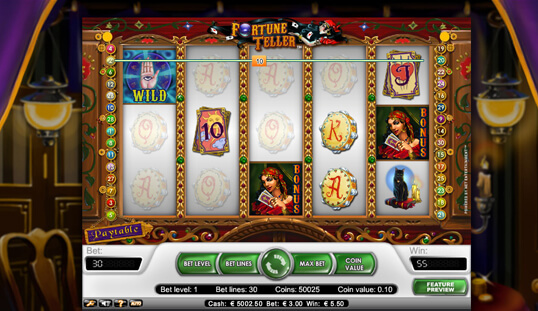 It is always a plus for any online slot to add extra features, and this game is not an exception. At least three Bonus symbols activate the bonus offering, where you will be asked to select cards with corresponding rewards. Be careful, though, because not all 11 cards are blessed with great fortunes. The bonus game is absolutely a welcomed addition, so get your hopes up for the gypsy to grant your wish of giving your bankroll its much-deserved boost. Other than the excellent features pointed out in this review, this NetEnt offering receives praises for also being available to Bitcoin players across the globe. Spin its reels now and have a first-hand experience of what it is like to play and win bitcoins! This game is available on 7BitCasino, BTC-Casino.io, Bitstarz, and other NetEnt-powered Bitcoin casinos.